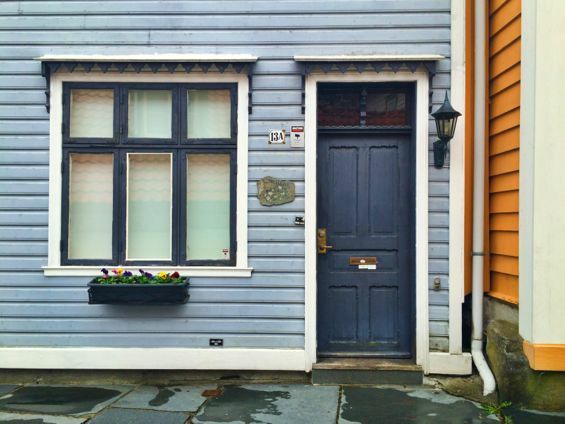 I enjoyed my time in Bergen, but if I am being honest, for my first day or so there, I wasn’t that captivated. 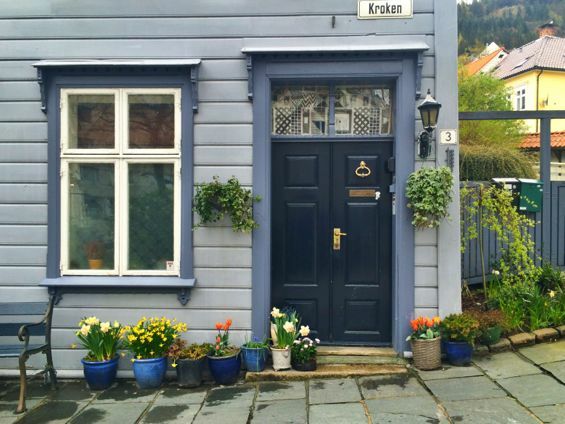 Yes, the city was pretty, the harbor was colorful, and everything was neat and tidy – but none of it seemed that memorable, particularly after the jaw-dropping beauty of the fjords. 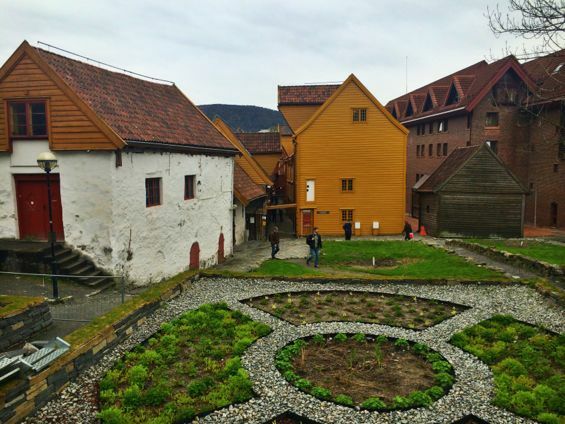 I was enjoying myself, but I wasn’t loving Bergen. 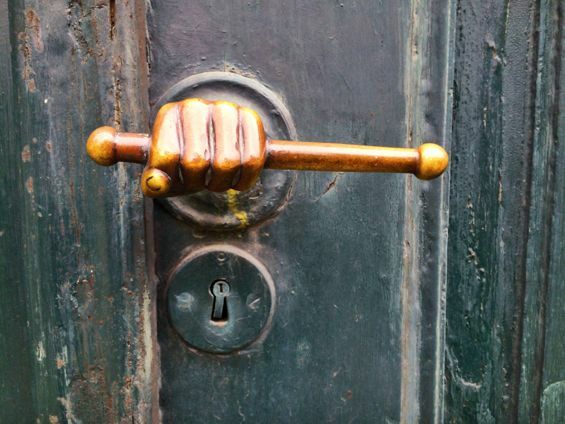 On my last day in town, however, I decided to explore more off the beaten path, and I’m so glad I did. 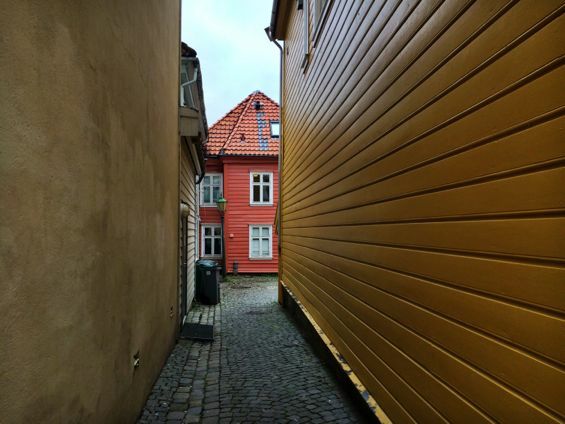 Rather than wandering through the main pedestrian area and the harbor, I ducked into the tiny back streets and lanes. And there? 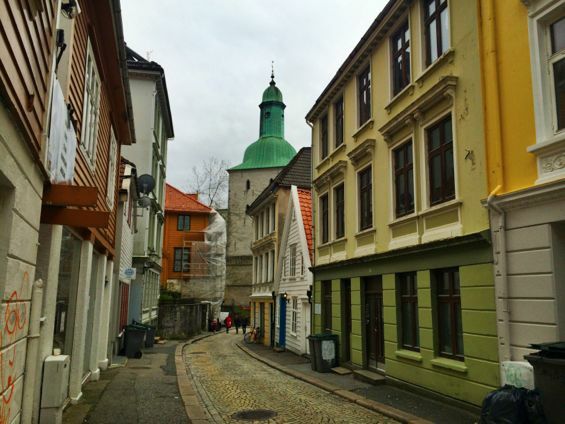 Well, there was where I really fell in love with Bergen. 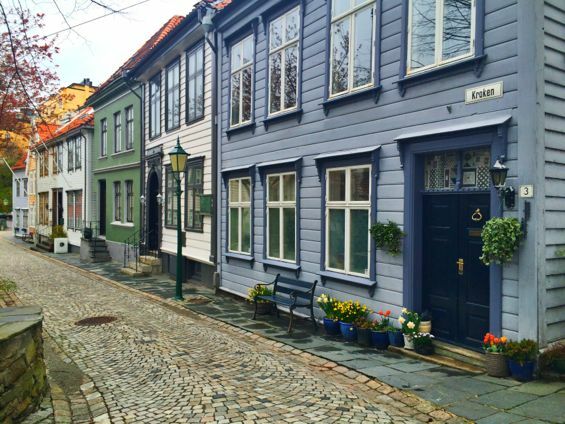 The streets were quieter and everything just seemed that much more charming. 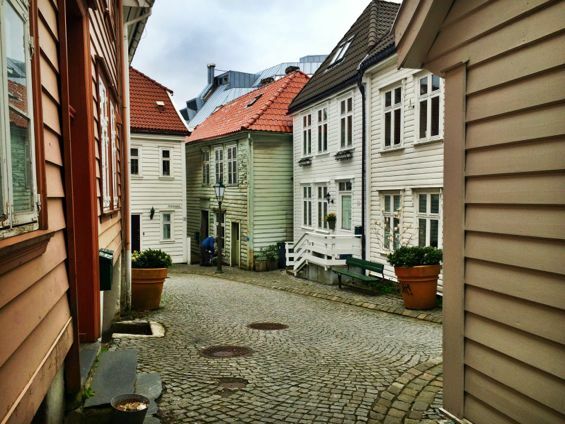 Case in point: everyone goes to gawk at the famous front facades of Bergen’s Bryggen, the historic harbor district, but while poking around looking for a coffee shop, I found myself above and behind the Bryggen, which I found even more fascinating. 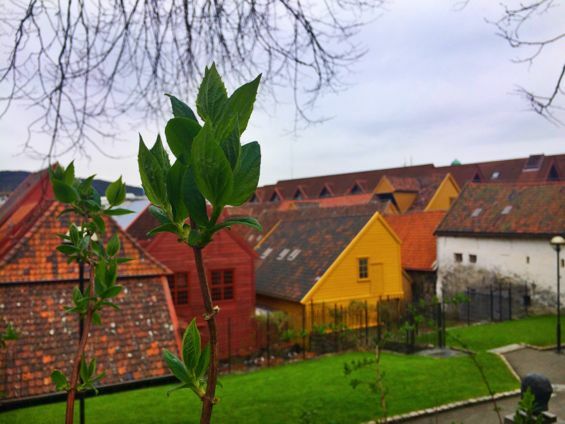 I loved seeing all the distinctive wooden rooftops from above – it was a unique viewpoint I hadn’t expected to have. 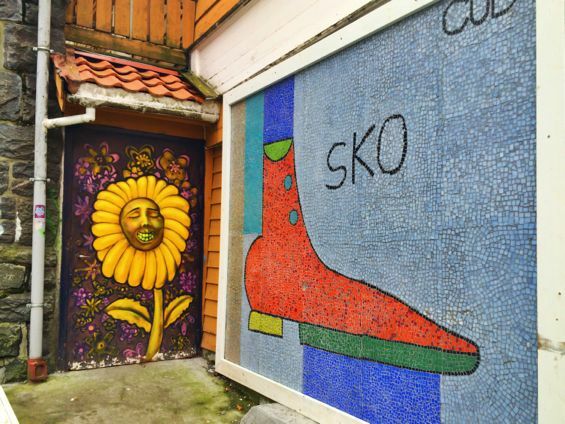 Nearby that, I stumbled upon Kroken Street, a little lane that reminded me of Paris’s Rue Crémieux: tiny, tidy, and very delightful. 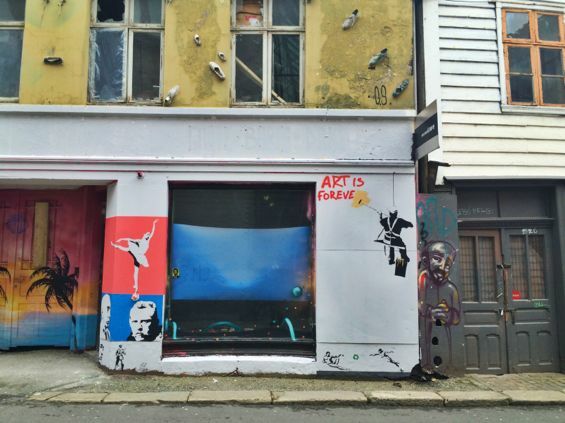 On my way to another coffee shop (Kaffemisjonen), I found what might have been my favorite of Bergen’s back streets: an area filled with street art galore. 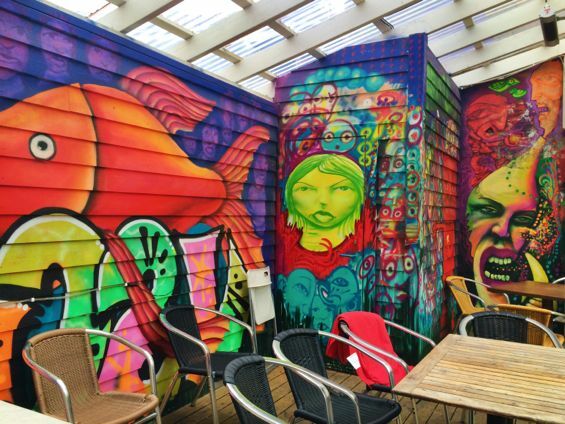 This little pocket felt like a teeny tiny Brooklyn to me – funky art and strong hipster vibes. 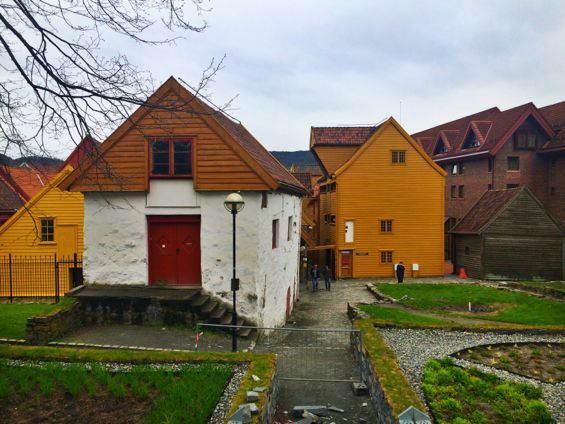 And finally, I set out to visit Bergen’s Leprosy Museum (because when you hear there’s a museum dedicated solely to leprosy, aren’t you a bit curious?). 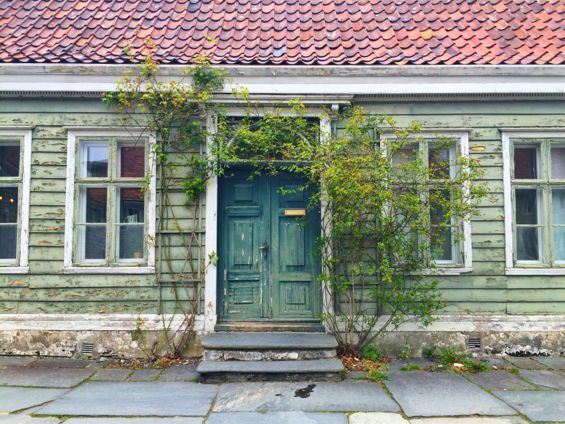 Sadly, I arrived too late and the museum was closed – but its courtyard was beautiful, as were the streets around the museum. 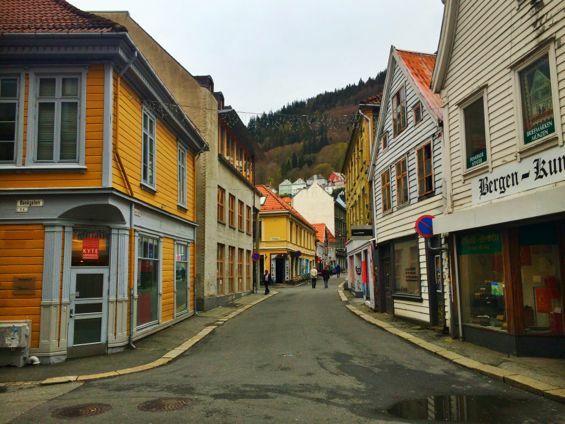 Bergen is a cruise ship port, and I suppose it is natural that daytrippers with limited time stick to the harbor area. 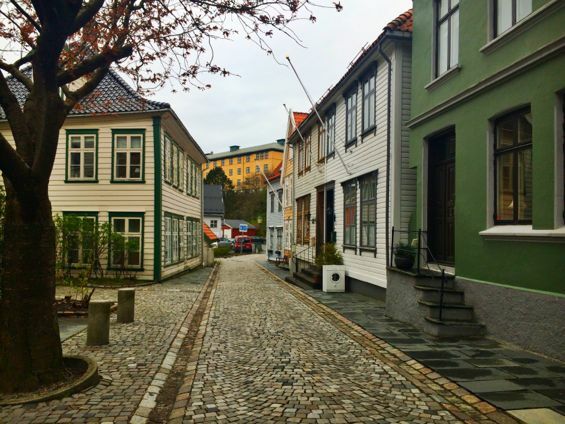 But if you have longer to stay in Bergen, I highly recommend a stroll through its back streets – there’s a lot of magic to be found there, too. 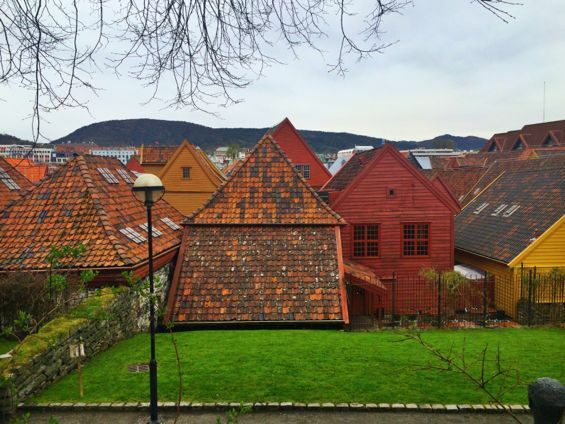 Bergen is so colorful! 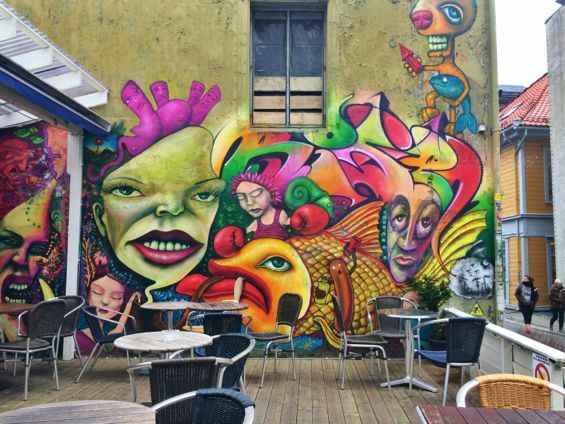 And all that street art really makes it pop! 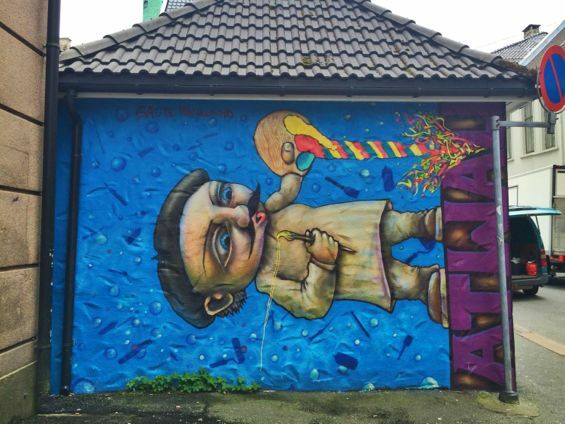 I’ve seen a lot of bright, saturated pictures of cute little Scandinavian villages before but the street art is definitely different. 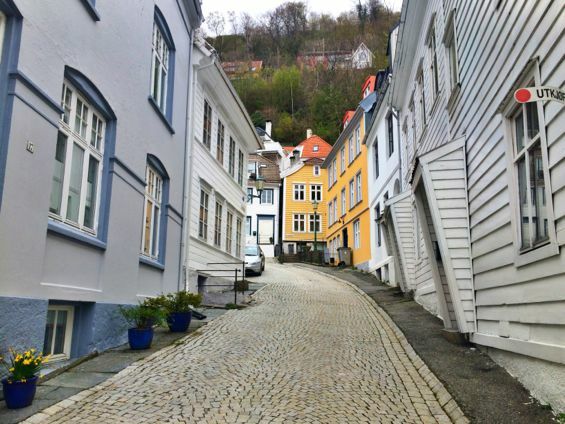 One of the things I love when traveling is just going for a wander and stumbling into little neighborhoods and districts that you don’t read about in guidebooks and it looks like Bergen is an ideal place for that kind of exploration! 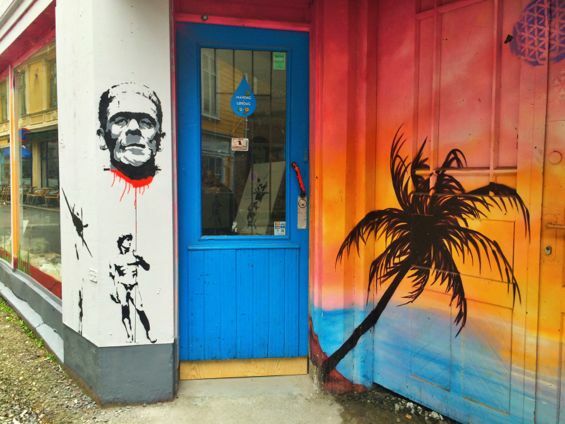 I totally agree with you, just wandering around a new place is one of my favorite things to do when traveling. 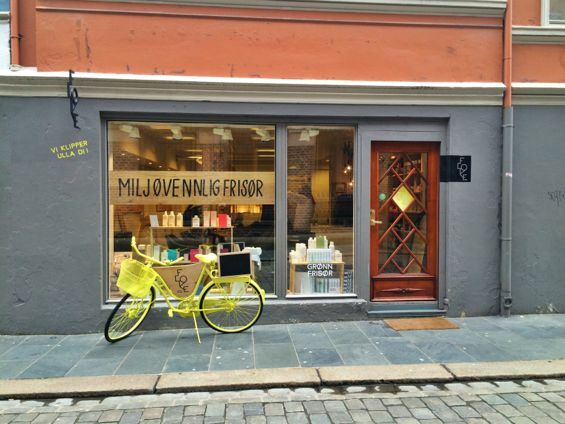 Bergen is definitely ideal for that!